It’s September where we have SO many birthdays that I can’t keep them all straight. I just know that there will be cake each weekend. Yippee! And with the release of the new Batman Collection in the Silhouette store I knew it was time to get ready. 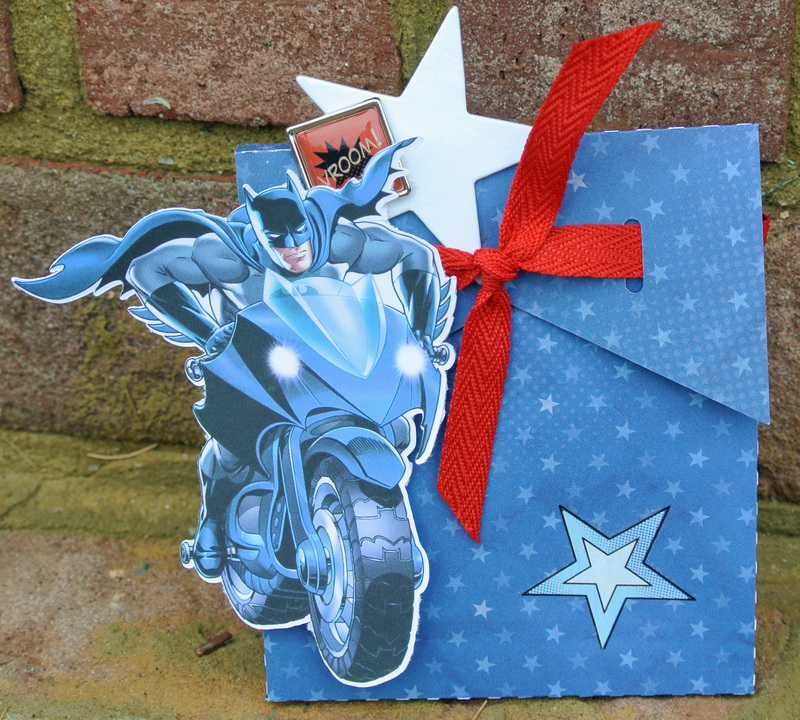 How perfect does Batman look with the Close to My Heart Superhero collection? I printed my Batman directly onto the CTMH White Cardstock. I would suggest double cutting it just to make sure all those detailed cuts are clean. And I can’t tell you how easy Lori Whitlock makes assembling her 3D items. I don’t even have to break out the scoring board. I now have one bag down. Six more to go. Yikes! Where’s my Superhero sidekick when I need him? Great superhero card! Looks like I might need to invest in a Silhouette! I thought the LM was your Superhero sidekick?????!! Good Luck convincing her otherwise ; ) !!! Great project & I’m gonna be hittin’ you up for lots of Silhouette info in Atlanta…I think Santa might be bringing me one this year if I’m a good girl. Ha! Sara – This is so fun and detailed. I love that Batman cut! Thanks for the double cut recommendation too. You totally knocked this one of the bat cave!